I can’t wait to include some of those Atkins pizzas! I like that these bars and shakes are low in sugar and that you can still enjoy your favorites. I liked Atkins on FB. I’m excited to try the cookies and cream bar as well as the chocolate peanut butter pretzel bar – I can’t decide! Already liked Appetite for Health from way back. Just liked Atkins on FB. Can’t wait to eat some grains, like brown rice, millet, wholewheat pasta. Of course, desserts are on the list too! i can’t wait to include greek yogurt. It’s my favorite. I’ve eaten Atkins bars before and they were delicious; So of course I most excited about including their bars! I liked Appetite For Health and Atkins on Facebook. I’m a big Atkins fan! I love the Cookies and Cream bars and Vanilla shakes. They don’t make a bad product! Can’t wait to include pizza! What I would love to try is the wholewheat pasta and greek yogurt. I am a type 2 diabetic and would like to try these yummy bars. Seems like a win win for me. Those bars are great snacks for work. I can’t wait to include Adkins Pizza. 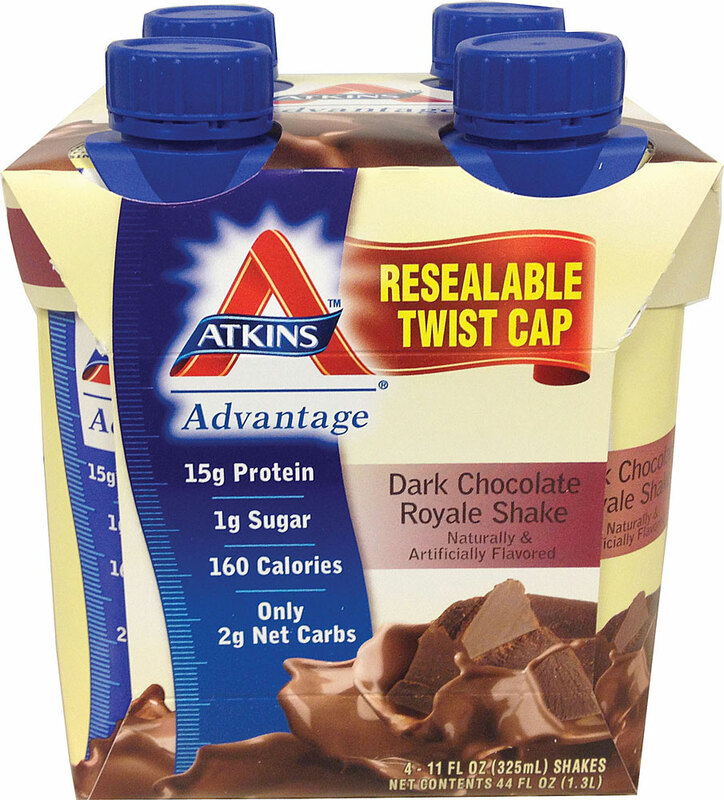 I am a fan of the Atkins products, I especially like that the shakes and bars are good lower-sugar options. I love trying new flavors of the shakes, and would love to try more of the bars! just signed up at the gym for a membership, would like to get the eating part of it right too, this might be a good start. I get your Newsletter and I like both your facebook page and Atkins!! Thank you! My husband just got out of the hospital from having a mini stroke and the main thing they told him he needed to do was loose weight and control his blood sugars better. This program sounds like it would be a great start for him (and me too). I know he will be very happy about being able to eat cheese! I also shared your article, “7 Chocolate Myths” on Twitter. Here is the link: https://twitter.com/icalledonjesus/status/565556807087554560 Thank you for the giveaway!! I can’t wait to add greek yogurt! I like to mix it with my chocolate protein powder for a thick delicious snack (or dessert!) I already get the emails and also like both the pages! I can’t wait to eat watermelon this summer! I could eat it everyday! The Atkins bars would be GREAT to add. They would be so convenient at my job. im a chocolate fan and need the protien for 5 days a week Crossfit slammin! Id like to have some of the bars to keep in my purse and the car.. I just “liked” Atkins and your site long ago. Looking forward to some good snacks! I would love to try the pasta and cheeses. I’ve never tried Atkins products though I am interested in the protein bars and shakes to get me started! I would also like to try whole wheat pasta or pizza (guilty pleasures). Thank you! 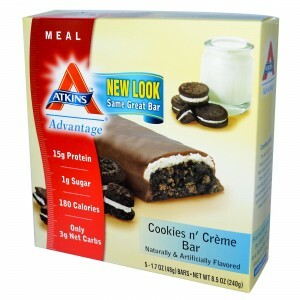 I love all Atkins products and would love to try the Cookies & Cream Bar! Signed up for your newsletter. Fan on Facebook Anne Flickinger (Kimberly Anne Flickinger) Thank you for the chance. I can’t wait for the atkins pizzas. I’d really love to try these bars and shakes. I checked out the Atkins website and I think the Caramel Chocolate Nut Roll Bars and the Cafe Caramel Shakes sound the best! I’m ready for some chocolate bars. I could live off their bars and I would include Greek yogurt and nuts. There isn’t a better way to nutritionally fill a void. While trying to eat healthy, the bars make you feel like you’re getting a real treat! The Atkins Pizzas sound amazingly delicious and healthy! I can’t wait to include fruit! There are so many fruits that I love snacking on and that make me happy to eat each day. I think the shakes would be perfect for me for a quick breakfast. Yogurt and fruit for me! I can’t wait to include cheese! I am pre-diabetic and trying to reverse that so I never become diabetic, so I would LOVE to try those cookies n’ creme bars! But those shakes would also be great to try since I’m on the road a LOT for work!! I already have signed up for your newsletter. I already “like” Appetite for Health, and I “liked” Atkins on FB! The nuts and cheese on the diet sound satisfying, and would love to try a nut roll bar as well. Awhile back, I received a sample bar from Atkins. It was quite tasty and included 2 of my faves: chocolate and peanut butter. I concluded they make delicious products and it’s great they’ve put their plan to lose 40 pounds online for everyone to follow without a charge. After briefly looking at it, I believe it offers a real opportunity for people to eat ‘normally’ (potatoes AND dessert!) and still drop the pounds. That’s a win-win in my book! I would love to try their shakes. The resealable lid is perfect for people on the go!! Already a friend on both pages and have shared many of your FB posts. Thank you! Can’t wait to include pasta! I can’t wait to include your bars. I have a huge craving to eat granola bar like things, and thise are delicious and nutritional! Here are the winners of this prize: Barbara G, Amy C, Georgia S, Kimberly F, Tom N, Ronda G, Trisha B, Heidi B, Laura, Audra. You’ll receive an email from us on how to claim your prize.